I didn't think they existed but now I see I was wrong. SueZ, I am left baffled from reading your last post. 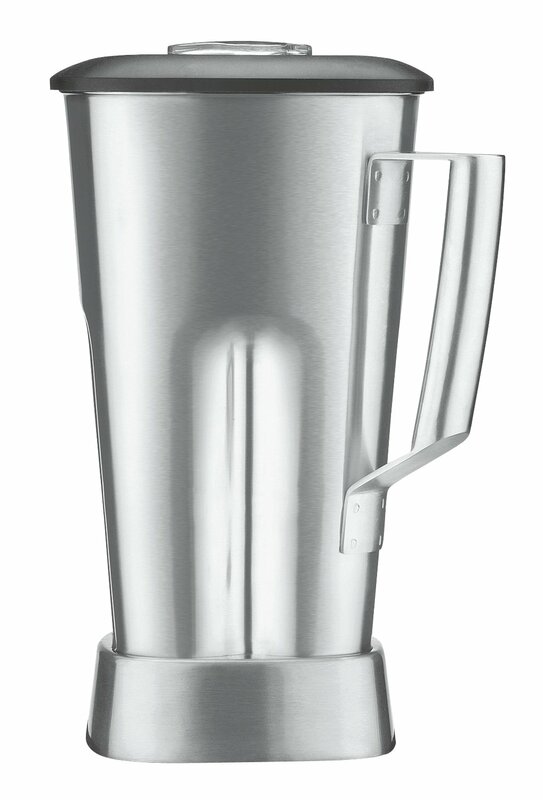 Are you saying that the HBF600S (stainless steel container) is not a good proper rawfood blender? What information or reference are you using to base your opinion? what do you compare it with, a vitamix? That's what I'm saying. Go back to the link of the #8, which you have, and the #10 that I like (which is made for food) and compare the close up of each of their blade assemblies to each other. I think I understand why you are confused. The zesco website is giving you the wrong blades. That website is incorrectly listing the blades of the "Tango" (HBH450 1 horse power) as "Tempest" (HBB650/HBF600 3 horse power). I would try to get a better source of information. Edited 1 time(s). Last edit at 01/19/2015 10:49PM by Panchito. > "Tango" (HBH450 1 horse power) as "Tempest"
> a better source of information. Ok now I see the seller mistake. So the maker uses the same bludgeoning blade for both of the wave blender versions, the cocktail maker and the food blender type. Bummer. I guess they are catering more to the restaurant business who's biggest concerns are cranking out 15 second margaritas and trying to make food quickly for a profit. I don't like that blade at all and it would be a deal breaker. If you don't mind it maybe going with the stainless steel carafe would work out well for you. It will certainly be easier to clean. I think I am going to switch to the stainless container. I scrub my blender everyday and I know that the abrasion applied is leaching out some of the plastic for sure. Very recent discoveries say that BPA-free plastics are worse than plastics with BPA. So that may be enough motivation to swtich. University of Calgary scientists say they think their research is the first to show that bisphenol-S, an ingredient in many products bearing “BPA-free” labels, causes abnormal growth surges of neurons in an animal embryo. > the plastic for sure. Not only that but what microscopic evils could be lurking in those uncleanable scratches? At least stainless steel can be safely and thoroughly cleaned. You can even wipe it down with alcohol to be on the safe side. check the number on the botton of your plastic blender container. If it is #7 (recycling) then it is made from a polycarbonate (PC) with Bisphenol. Manufacturers use the "propietary information" as excuse to hide the material is made from and they may call it BPA free. But BPA-free does not mean anything anymore because the other BPx plastics (like BPS) have very recently discovered to be worse but called legally "safe" ("safe" only before they discovered that the other BPS was worse). The same surges were also found with BPA, though not at the same levels as with BPS, prompting the scientists to suggest that all structurally similar compounds now in use or considered for use by plastic manufacturers are unsafe. BPS was discovered unsafe approx January 12, 2015. But it could take years before it goes through the burecracy of the FDA and legally called unsafe. The #7 category was designed as a catch-all for polycarbonate (PC) and “other” plastics, so reuse and recycling protocols are not standardized within this category. Of primary concern with #7 plastics, however, is the potential for chemical leaching into food or drink products packaged in polycarbonate containers made using BPA (Bisphenol A). BPA is a xenoestrogen, a known endocrine disruptor. Number 7 plastics are used to make baby bottles, sippy cups, water cooler bottles and car parts. BPA is found in polycarbonate plastic food containers often marked on the bottom with the letters “PC” by the recycling label #7. Some polycarbonate water bottles are marketed as ‘non-leaching’ for minimizing plastic taste or odor, however there is still a possibility that trace amounts of BPA will migrate from these containers, particularly if used to heat liquids. #7 plastics are not for reuse, unless they have the PLA compostable coding. When possible it is best to avoid #7 plastics, especially for children’s food. Plastics with the recycling labels #1, #2 and #4 on the bottom are safer choices and do not contain BPA. PLA coded plastics should be thrown in the compost and not the recycle bin since PLA compostable plastics are not recyclable. The plastics industry has conformed to regulations by applying the required codes to consumer products, but it is up to individuals to read and understand the codes. BY understanding these simple classifications, we can best use plastics to our advantage while minimizing the health and disposal issues that may otherwise arise. Edited 1 time(s). Last edit at 01/20/2015 03:11AM by Panchito. I've seen a lot of plastic human food containers in grocery stores that have worse numbers than plastic often used for flower containers. It's crazy. That's an old model carafe. It is heavy stainless and heavier than the original thick polycarbonate one. Taller. I would not recommended for food as you can only see the top (no see through like the plastic ones). Way healthier though as it does not have endocrine hormone disrruptors. But for smoothies, what I use it for, it is perfect. Once cleaned, you can see more dirt because the translucent one hides the specks. With stainless one you see every speck. With the new container, it seems that the blender moves on the table. Don't know why (it is heavier). The center piece of the cap is interchangeable (don't like the cup that comes with) and you could also use a plunger (bought separate). Edited 1 time(s). Last edit at 01/23/2015 07:17PM by Panchito. I'm glad our argument had one good outcome in the end. I would be interested in the Hamilton Beach as my next blender if they ever make a bells and whistles model built with blades made for blending foods that came with a stainless steel carafe. That will probably not happen, though, because stainless steel heats up too much and a protective double walled stainless steel carafe would be very expensive. Who knows thoughh. Maybe they could wrap a stainless steel carafe in a silicone jacket, or something like that, so they wouldn't get sued from people dumping hot soup all over themselves after being burned. * Maybe the blender is now moving because it's become top heavy with the taller carafe. Edited 1 time(s). Last edit at 01/23/2015 10:07PM by SueZ. The new container looks more like a thermo. It is too heavy already to make it double walled. The stainless quality is like the one used on thick Italian cooking pots. It is not thin like in a thermo. Heat is the worst factor for chemically leaching bisphenol out of plastics. Mechanical wear also counts. Some people use their vitamix for Hot soups. That combined with the new information about the bisphenol-s, are some considerations that would make informed peopel reevaluate the safety of their vitamix. Easy to manufacture products that come with late warnings could have a hidden price to pay. Hope a stainless model comes to the vitamix users. Don't know the reason why vitamix does not have one. Maybe there is an exclusive locked-in contract with the current Vita-mix container manufacturer and you'll never see a stainless version. Who knows. Edited 1 time(s). Last edit at 01/23/2015 10:45PM by Panchito. If VitaMix ever makes a stainless steel carafe they would have to target only users who would not heat their foods. It's not likely to ever happen as the market would be too small and the liability insurance would be too huge. The heating of the Vitamix is not a feature that the manufacturer chose. It is an unavoidable effect of friction that somehow was sold as a feature from a bussiness point of view. Oh look, it gets hot. Lets sell that to heat soup. We'll say it is to save time. To heat up 64 oz of fluid plus the stainless mass to 212F, you would need a long time and that would probably break the motor (shorter life). Some day people will use the computer or cell phone to warm up coffee. Hey free heat. Except for the nuclear power plant on the other side of the plug. GOOD: The blender was moving with the new stainless container before because I moved it closer and placed it on a wet surface in order to see it better and clean it. But once it was back to the original position (dry surface), it never moved again. BAD: The taller stainless container makes a deeper "toilet" vortex than the shorter but wider original polycarbonate container. This could be a negative source of oxidation as there is more oxigen mixing with the food. OK: smoothness is the same as before. Don't have ties to the manufacturer other than a happy customer. Edited 2 time(s). Last edit at 01/24/2015 11:18PM by Panchito. > oxigen mixing with the food. > OK: smoothness is the same as before. Why don't you make a nice very thick raw vegan soup in it to see whether or not it's only good for smoothies and bar drinks? BTW, I have bought many things from the Webrestaurantstore and find it to be a top notch company to do business with even though I'm not in the demographic they usually sell to as I just buy stuff for my home kitchen. They do charge too much for shipping, though, IMO. I've never done a soup on a blender but I am sure the blender itself has zero problem blending food. Actually, there are videos on youtube comparing it with the Vitamix and they perform better. It could used for things like salsa. I think I saw on a video that the chope feature is also patented (like the Wave Action). BTW: I've noticed that the HBF600 sells for $508 and the stainless container for $145 for a total of $653. That is, for $30 (plus $14 shipping) you could get both containers (polycarbonate + stainless). The shipping for the stainless container was ~ $14 and shipped from Hammilton Beach in Virginia via Fedex. I know there is a compatible mini container for the HBB600 but it is polycarbonate. That website does not sell the HBB600 model (cheaper), which is the one I have. the blender I have (hbb650) sells here for $455. I think I paid for mine a little less than $400 but on a special deal or something years ago. update: I have discovered the source of the puzzle from the stainless container moving the blender. If I out the hadle to the left (looking from the front) then the blender moves (rotates anti clockwise). But if I put the handle to the right, then the blender reamins still. You could use this info to place a magic joke on someone "I can make the blender dance but you can't"
Will the VitaMix lid fit on it so you can use the tamper? Is it's blade designed for bar drinks or blending food? > Is it's blade designed for bar drinks or blending food? I would like to purchase the commercial stainless master blade kit in collectors wooden case with the 6 different designs for the professional 750 blender. I have heard that you have a new upcomming 12, 24, 36 blade kit plated gold/titanium/diamond in the works. I have a very big pile of money. It's a commercial blender, so beyond that I don't know anything specific about the blade assembly. I will try to see if I can get a picture. 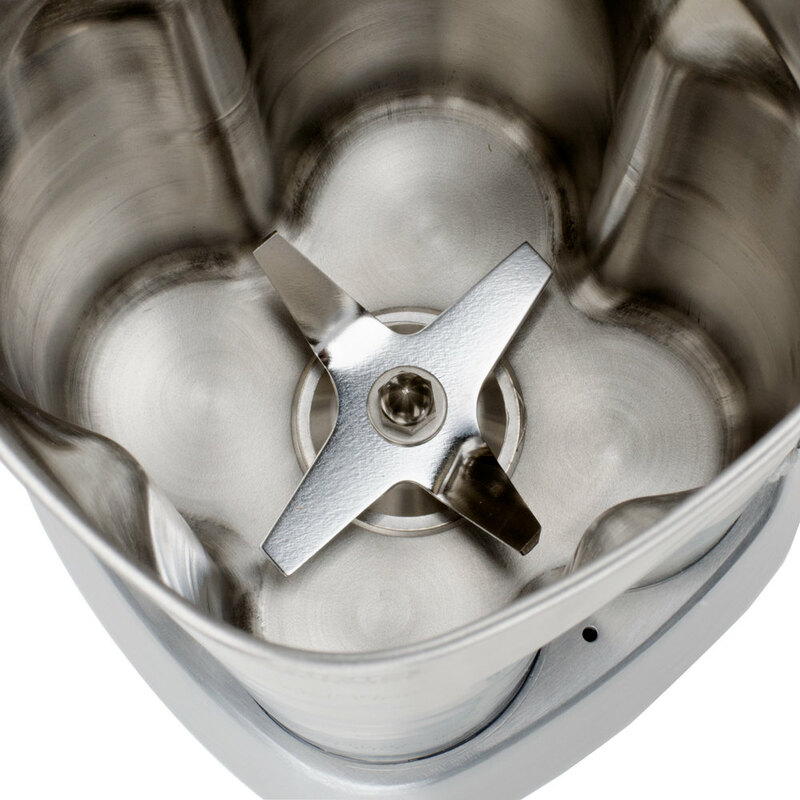 The description of the Waring MX1200XTS says :"With its 3 1/2 horsepower, the Waring MX blender is great for blending everything from food to bar drinks! Learn how to make a great strawberry-banana smoothie with the Waring MX blender." Edited 1 time(s). Last edit at 07/04/2015 10:29PM by Panchito.